Scheduling in cloud computing is the assignment of tasks to resources with maximum performance, which is a multi-purpose problem. The scheduling is of NP-Hard issues that is the reason why meta-heuristic algorithms are used in scheduling problems. The meta-heuristic scheduling algorithms are divided into two categories of biological and non-biological. Swarm-based meta-heuristics are of biological algorithms that are based on imitation, or based on sign. The whale optimization algorithm is a meta-heuristic biological swarm-based intelligence algorithm based on imitation. This algorithm suffers from the early convergence problem which means the population convergences early to an unfavorable optimum point. Usually, the early convergence occurs because of the weakness in exploration capability (global search). In this study, an optimized version of the Whale optimization algorithm is introduced that presents a new idea in grouping whales called GWOA. It is firstly proposed to overcome the early convergence problem and then make a balance between the local and the global search in finding the optimal solution. The proposed method divides the sorted population into δ groups and a member of each group is randomly selected which is used in encircling prey section of the whale optimization algorithm. Then, the average best fitness was enhanced to improve both exploitation and exploration as well as premature convergence. In the next step, GWOA is used in a cloud computing scheduler at high workload to reduce the average execution time, response time, and increase the throughput in the cloud computing environment. The proposed whale optimization algorithm is compared with the standard whale optimization algorithm (WOA), improved whale optimization algorithm (CWOA), particle swarm optimization (PSO), and bat algorithms applying CEC2017 functions to compare the average parameter of the best fit, and then they are implemented as a cloud computing scheduler. 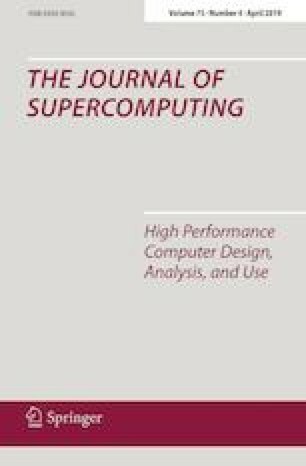 The results of the experiments show that the proposed method has a better performance in comparison with competent meta-heuristic algorithms and scheduling algorithms. See Tables 18, 19, 20, 21, 22, and 23.